Welcome to Back to Health Center! Our friendly, helpful team is here to assist you! 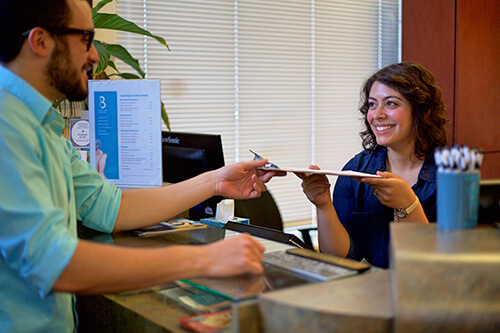 When you first call to schedule an appointment, we’ll make sure that you get the paperwork we need you to fill out. We’ll review it before you arrive and verify your insurance information, if applicable. When you walk in, we’ll be ready to begin! You’ll meet with your chiropractor to talk through your history and what’s brought you in. Then, we’ll perform a series of examinations ranging from taking your vitals to an orthopedic assessment, palpation and muscle testing. This extensive process will determine if it’s suitable to give you a treatment on the same day. If we don’t feel that we can properly address your concern, we’ll refer you to another provider. At your next appointment, you’ll receive a report of findings from your chiropractor. We’ll provide you with a packet of information that explains the nature of your problem and what we plan on doing to improve your health. We may assign exercises and make activity or lifestyle recommendations as appropriate. 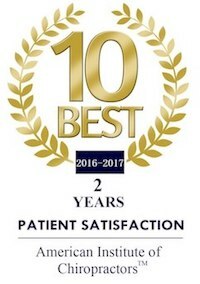 We’ll give you regular evaluations to monitor your progress, educating you each step of the way so that you have the information you need to make better decisions about your health. We’ve often been asked if you have to keep going to a chiropractor forever once you begin. Chiropractic isn’t something you can get hooked on, and you can live without it. Some of our patients want to be free of discomfort, and we’re happy to help them. Others feel healthier with regular care, receiving valuable information along with their chiropractic adjustments. If you want to participate as an active patient, you are welcome to, but the decision is yours. Insurance coverage can be used for your visits. Schedule your appointment with our team today!